Dr. Lightfoot grew up in Dublin, Ohio. He attended The Ohio State University and received 4 degrees including his dental school training and his periodontal training. He served as Chief Resident in his final year of his periodontal residency. Following his training, he practiced in Ohio before moving to the Boston area in 2005. Dr. Lightfoot is an Assistant Clinical Professor at Tufts University School of Dental Medicine, where he has been training some of the area’s best dentists since 2005. When Dr. Lightfoot isn’t treating his patients in Hingham or at teaching at Tufts, he enjoys spending time with his friends and family. 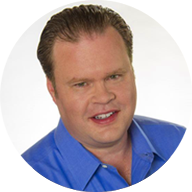 Read Dr. Scott Lightfoot’s full professional bio here. 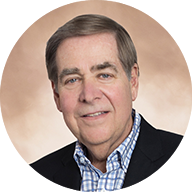 Dr. Richard L Glick is a 1971 graduate of Georgetown University School of Dentistry in Washington, DC. Over the past 40 years, he has held numerous academic positions and lectured on emergency dental techniques. He was at the forefront of dental implant technology and in 1985 was one of the first dentists in the area to receive AAID accreditation to provide patients with this innovative new dental technology. Dr. Glick has completed a four year term on the Northeast Board of Dental Examiners and the Rhode Island Board of Dental Examiners. He provides comprehensive periodontal/restorative treatment planning and periodontal care. Thus began Dr. Ahmed’s devotion to dentistry. He pursued his passion first in Cairo, Egypt, and then in the United States, receiving his Doctor of Dental Medicine from Boston University Goldman School of Dental Medicine and his Doctorate of Medical Sciences from Harvard School of Dental Medicine, with a specialty in Periodontology. 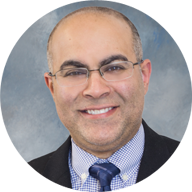 Eager to expand his education, Dr. Ahmed conducts research at The Forsyth Institute, teaches as a Clinical Assistant Professor in the Department of Periodontology and Oral Biology at the Boston University Goldman School of Dental Medicine and takes state-of-the-art classes throughout the country. In his free time, he enjoys fishing, playing soccer, and reading about history. His favorite childhood novel was Charlie and the Chocolate Factory, especially the scene where a child loses a tooth and the amiable dentist solves his problems. 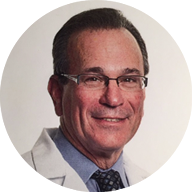 Dr. Alan Morris received a BA degree in biology from Boston University in 1971 and received his dental degree from Tufts University School of Dental Medicine in 1975. He was awarded a Certificate in Periodontics from the University of Pennsylvania School of Dental Medicine in 1977. He has been a member of the staff at both the Tufts University School of Dental Medicine and the Harvard University School of Dental Medicine. He holds professional memberships with the American Dental Association, the Massachusetts Dental Society, the American Academy of Periodontology, the Massachusetts Periodontal Society, and the Academy of Osseointegration. He is currently an assistant clinical professor in the Department of Periodontics at the University of Pennsylvania School of Dental Medicine. He has been practicing Periodontics in Norwood, Massachusetts, since 1977. Amiable and welcoming, Office Manager Pat greets patients at the Norwood office. 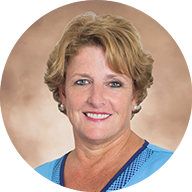 Having worked in the dental profession for the past forty-four years, she brings experience and know-how to the practice, immediately making a patient feel comfortable. 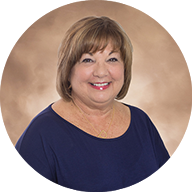 Pat grew up in Boston and graduated from the Bryman Institute for Dental Assisting and Management. She married her high school sweetheart and resides in Norwood, where she and her husband raised two wonderful sons. Her happy place is at the beach or being Nonni to her delightful, energetic three granddaughters. She loves to travel and relishes checking off bucket-list places she has visited. “I enjoy having purpose everyday,” she says with a can-do attitude. 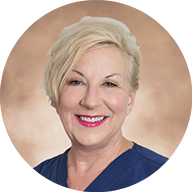 For over thirty-five years, Shelley has worked as a dental assistant, first for a general dentist, then for an oral surgeon, and now for a periodontist. “I enjoy going to work every day. I’m always learning something new.” She has performed multiple levels of assisting from basic procedures to surgical procedures. Shelley hails from Warwick, Rhode Island. She received an associate degree from the Mount Ida Chamberlayne School of Design in 1988. When not working, Shelley can be found at the gym, reading, birdwatching, or sitting in her backyard enjoying her chickens forage in her gardens. She has won first place prizes for her curly parsley, Italian parsley, and rosemary. Her two teenage daughters are competitive figure skaters and avid athletes. She has a shitzu named Minnie and a husband named Joe. Karen, a Registered Dental Hygienist, has been building relationships and advocating for optimal periodontal health with her patients in this practice for twenty-five years. She attended Forsyth School for dental hygiene and has an Associate Degree in Science from Northeastern University. She also attended the New England School of Photography. “My patients are family and feel very special and comfortable under my care,” she says with confidence and pride. Karen resides in Attleboro with her husband Jim and their beloved pug Rosie. She has two grown children, Nicholas and Kara. She loves to cook and enjoys pursuing her love of photography throughout New England, especially on the Cape. Maryanne, a Registered Dental Hygienist, has extensive experience and knowledge in all areas of dentistry. 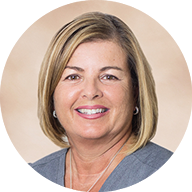 With a light touch and a sensitive nature, she has worked as a pediatric hygienist, a prosthetics hygienist, and a periodontal hygienist. “I want to make a difference in people’s overall health.” With that as her goal, she strives to educate her patients on disease control. Maryanne grew up in Braintree and attended Archbishop Williams High School and Bristol Community College in Fall River.